Family Of a Vet - PTSD, TBI, & Life After Combat: #DearVA Things That Wake Me Up At 3:30am. 1) How am I going to pay all of our bills? Especially our medical bills. When am I supposed to have time to pay these bills? I work FT and care for my husband full time and we have 3 kids. I don't get breaks. You can't believe how hard it is to live on a budget with a person who is in and out of a triggered state all day long. Every day is about getting from one hour to the next. 2) How am I supposed to do most of the housework too? He helps where he can but it isn't enough to do more than just keep my head above water IF nothing else goes wrong or needs to be done. Or to allow me time to do other things. 3) Getting kicked or whacked by flailing arms. 4) His voice screaming INCOMING!!! as he throws himself out of bed. 5) Where did he wander off to again in his sleepy stupor. He wakes up every 10 - 30 minutes from nightmares. Half asleep he wanders around the house doing random things half asleep. So when I jolt awake after passing out at the end of my 20 hour day - I have to check to make sure he didn't drive off, didn't set anything on fire, didn't wander off, didn't drop pills on the floor for our toddler to find, fall asleep with some kind of liquid in his hands and make a huge mess that will result in him having a huge meltdown. I know it’s a tough time of year for many vets, mine included. It’s just really hard for them to force the jolly expressions and happy faces. And it’s even harder to be asked repeatedly to go to large gatherings. Family or not, it’s overwhelming and many of them end up feeling so guilty about always saying no that they eventually say yes when really they shouldn’t have. They should have stuck to their guns and had small family events, which can be so much fun and just as festive. We know you miss us and that you want to see us. But maybe you come to our house for a visit instead of asking us to visit with everybody else when it’s loud and crowded and everything is out of control and unpredictable. Things that are funny and surprising to you are shocking and scary for a person who’s already over stimulated and on edge. But really, the hardest part of the season is to hear my husband say that he doesn’t love himself, he hates himself. He hates who he is now because it’s not him. The him he knows and wants back doesn’t have to take medication. The him he knows goes to social gatherings and is the life of the party. The him he knows gets very festive and would love nothing more than to go out and score the hottest gift on the kids’ wish lists this year on black friday. But the him he is now… can’t do any of that. It was a major feat that he helped decorate the tree with the kids this year. I still buy all the gifts (including my own) because he gets so overwhelmed and confused and then angry at himself and he just can’t do it. It’s the “hate” that kills me. He has so much disdain for what he is now. I remind him that when I see him I see the man that I love and a man that has so much to offer this world and who deserves all of the wonderful things we have. He deserves our beautiful family and my love and our home and pets. He deserves so much more. It’s really hard to not be able to give the gift that he really wants. I can’t take it all back and I can’t bring him back to his former self. All I can do is keep giving the gifts of love and support and encouragement. To remind him of all the good he does and why he DOES fit in with parts of his world. I admit that he doesn’t fit in with the general public… and not in regular social settings. But in very specific and controlled groups he does fit in. I also wish I could give him a friend to hang out with for Christmas. You’d think with all the groups at #VA he could find somebody to hang out with but those groups are all support or therapy groups. We literally need just a socialization group at the #NewVA. 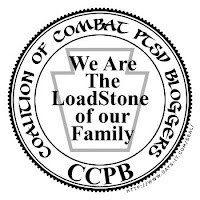 A group where there are projects to do, stuff to learn where it’s okay to get upset and frustrated but where you can do all of this with other vets and help learn how to make friends… and how to nurture a friendship… how to keep it going on your own. I know it sounds like the silliest thing, but it’s high on my wishlist. Please, #NewVA, teach my husband how to interact again. Teach him that people won’t always call him, that he has to call (or let’s be honest, text because they’re more comfortable that way) sometimes and that it shouldn’t end there. Those texts and calls should lead to plans. Plans to do something with another person! Once they are doing stuff together, the talking and healing and understanding can come out on it’s own. I just want my husband to know and feel how important and lovable he is. I want him to be glad he’s here rather than just holding on for us.